Yolo County’s State Fair exhibit wins the gold…and two Blue Ribbons! Yolo County adds three more awards to its impressive collection of California State Fair exhibit recognitions. On opening day of the state fair, judges announced the Yolo County 2016 exhibit was awarded the gold ribbon, as well as blue ribbons in the categories of “best craftsmanship” and “best of produce, products or artifacts”. With this year’s counties exhibit theme, “California Delivers”, Yolo County showcased how it is taking agritourism to new heights by “delivering” food and fun with its vast array of festivals, farm tours and events year round. As is the tradition for Yolo County, the exhibit integrates a learning environment with whimsical characters, animated displays, and a bounty of local produce and products. The Yolo County Library’s Summer Reading Program is off to a great start with more than 3,365 sign ups since the June 1 kick-off. The program continues through August 15 and all are welcome to sign up online or in person at their local Yolo County Library branch. Participants will receive a ticket for prizes and a free gift. In addition, those who read five books will receive a book full of puzzles, games or coloring pages, and a ticket for finishing prizes, generously donated by the various Friends of the Library groups. Children, ages 0-12, will also receive a free pizza coupon to Round Table Pizza. New to the Summer Reading Program, participants will now receive an additional prize ticket for every completed reading log they turn in. Prizes, such as the free book or pizza coupon, will remain the same for the first reading log. The California Be Water Smart Campaign wants YOU to show off your dirty car for a possibility to win 15 FREE car washes. My husband and I own Rocky Mountain Window Tint, which has partnered up with the Be Water Smart water conservation program. We are the only business in Sacramento offering water smart car washes and detailing that uses only 1 cup of filtered water. That's it! This summer ABC will be airing the return of The $100,000 Pyramid back to broadcast TV hosted by Michael Strahan. The show is currently looking for contestants. If you are interested in learning more, Click HERE. With 'Breakfast in My Neighborhood' News10 viewers get a chance to decide where News10 Mornings Anchor Dan Elliott will be broadcasting live from 5-7 a.m. this Friday, February 27. Voting began on-air Friday morning February 20 and ended Tuesday, February 24, at 6 p.m. 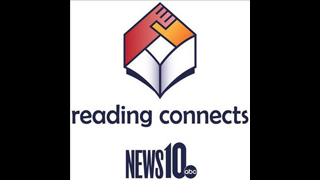 The winner was announced Wednesday, February 25, on News10 Mornings. Viewers chimed in and OVER 2100 votes were cast. We want to thank the viewers, Bella Bru Cafe and Lido Cafe and Bakery for participating in our poll. And the winner is Lido Cafe and Bakery!